It is certainly refreshing to hear a journalist and activist stressing the importance of History and the humanities in forming citizens—and job applicants—who can master argumentation and writing. See the Stanford Report for the full story about Rachel Maddow’s on-campus visit. 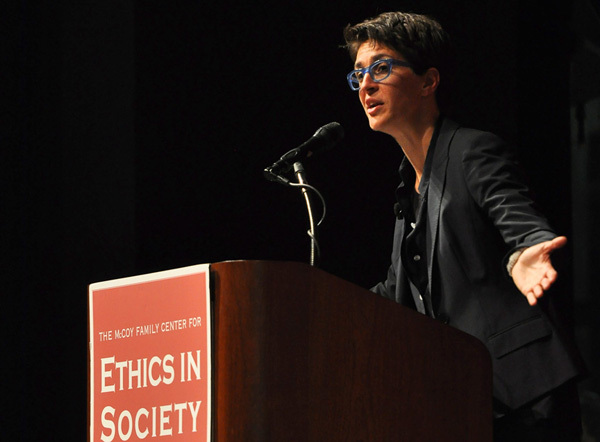 Stanford’s Center for Ethics in Society has posted video of Maddow’s talk on YouTube. This entry was posted in Careers in History, Digital Humanities, Education Policy, History in the Media, Humanities Education, Political Culture, Undergraduate Work in History. Bookmark the permalink.